For the past couple of years, Dodge has been experimenting with building incredibly powerful versions of their iconic pony car the Challenger. Their experiments have been so incredible and successful, that it seems like many people have forgotten about a certain other high-performance vehicle on their lineup, another truly iconic sports car, the Dodge Viper. 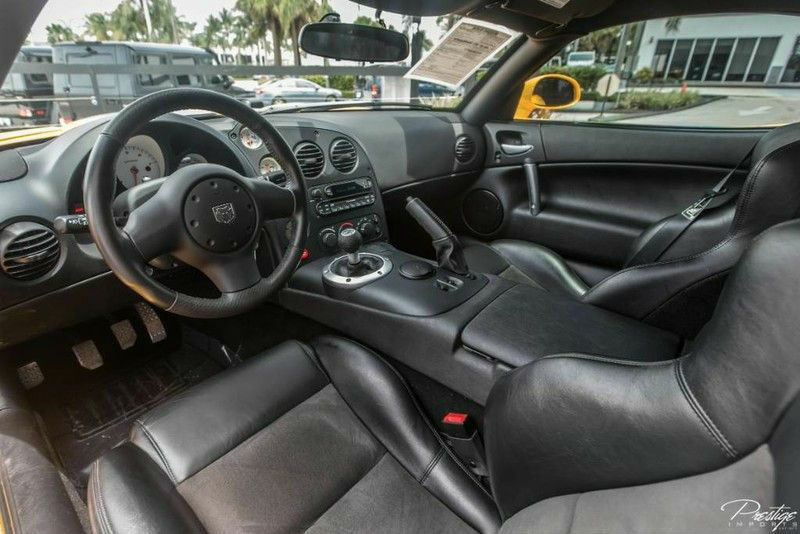 We’ve currently got a pretty awesome 2006 SRT10 for sale right here at Prestige Imports in Miami FL, and we thought we’d refresh your memories on what this high-performance sports car is capable of. Of course, performance is the most important aspect of a vehicle like this, so we’ll start there. Powered by an 8.3L V10 engine, hence the 10 in its name, the Viper SRT10 is capable of doling out a whopping 510 horsepower. It’s capable of hitting 60 miles per hour in just 3.9 seconds, and it has a top speed of 190 miles per hour. However, generic performance features aren’t the only thing that the ’06 Viper SRT10 has to offer. There are plenty of other excellent features that make it such an incredible vehicle, especially considering when it was built – like high-intensity-discharge headlamps, variable-intermittent windshield wipers, fog lamps and remote keyless entry. 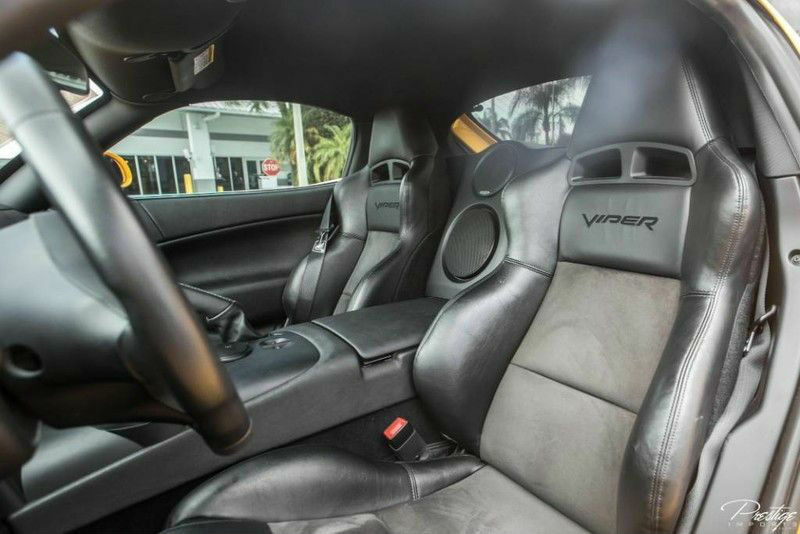 If you think you might find yourself interested in a true powerhouse like this 2006 Dodge Viper SRT10, then be sure to get in touch with us at your earliest convenience one way or another – be it right here on the website, by stopping into the showroom or giving us a call. This entry was posted on Friday, October 13th, 2017 at 2:03 pm	and is filed under Dodge. You can follow any responses to this entry through the RSS 2.0 feed. You can skip to the end and leave a response. Pinging is currently not allowed.